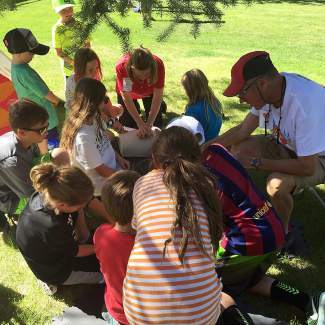 EAGLE COUNTY — Saving the life of a sudden cardiac arrest victim takes the right equipment and a bit of training. In the next year or so, thousands of valley residents will have that training, with more equipment coming all the time. Starting Hearts is a nonprofit group started by Lynn Blake, herself a sudden cardiac arrest survivor. Since founding the group in 2010, Blake and a cadre of volunteers have trained about 9,000 people in both cardiopulmonary resuscitation and how to use an automated external defibrillator. In the next year thousands more will be trained in automated defibrillator use. The Eagle County School District and Starting Hearts this summer reached an agreement to train every student and employee in the district in automated defibrillator use. Some students and employees will also be trained in cardiopulmonary resuscitation. Starting Hearts will pay for the training, and the district will make time and facilities available. Following this year’s training, Starting Hearts will train new students and employees every year, with refresher courses offered every other years. Classes will be conducted in both English and Spanish. “We think this can be a model for the nation,” Blake said. That model starts with kids as young as kindergartners. Those very young children probably can’t actually run an automated defibrillator, but they can talk an adult through the process and call 911. Eagle County Schools Assistant Superintendent Phillip Qualman said while younger kids may not be able to actually use the devices, older kids certainly can, especially since an automated defibrillator will talk a user through the process. 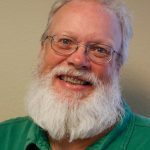 In fact, Qualman said, one of the first questions district officials had for Starting Hearts was whether their training accounted for the different ages of participants. It does. Starting Hearts has been training kids for some time now, although not in the numbers to come this school year. “We heard about one of the kids, who was eight, came home and told his mom, ‘I learned how to shock people today,’” Starting Hearts Executive Director Alan Himelfarb said. Knowing how to use an automated defibrillator, or manual resuscitation techniques, is a life skill, Blake said. It’s also a skill that kids can take home to their parents, since most cardiac arrests happen at home. Anywhere sudden cardiac arrest happens, time is of the essence — survivability drops 10 percent every minute. That doesn’t leave much time for action. There are three automated defibrillators each at Battle Mountain and Eagle Valley high schools. Those devices are moments away from any part of those buildings. There are automated defibrillators in other schools, all of which are far smaller than the high schools. That puts help very close at hand. The number of people being trained in the next year comes into sharper focus when you consider the population of the valley. To have 7,600 people trained in life-saving techniques in a valley of about 50,000 residents is remarkable. “We’ll have safer schools, and a safer community,” Qualman said. Having that many trained kids and adults could save a life in an unexpected way, since sudden cardiac arrest strikes at random. Blake was young and healthy when her heart stopped. She was fortunate to have co-workers who knew cardiopulmonary resuscitation that day in 2007. Vail firefighters and an ambulance crew arrived at her office on Meadow Drive in Vail just four minutes later. Since then, Blake has created Starting Hearts, trained thousands of people and helped pave the way to put hundreds of automated defibrillators around the valley. She’s the mother of a young child now, and Himelfarb runs Starting Hearts’ day-to-day business. Blake wouldn’t be here today without that quick help, and she wants to ensure others have access to fast assistance, too. Besides training for everyone in the school district, Starting Hearts and Vail Valley Medical Center recently put automated defibrillators in another seven Eagle County Sheriff’s Office patrol cars. There used to be just one car so equipped, and that device has already been used twice. Starting Hearts has also recently teamed up to put every known automated defibrillator location in the county on an app. With those efforts and more, perhaps the next sudden cardiac arrest victim in the county will survive. “If we teach a generation, they’re going to save lives,” Himelfarb said.